Pet Liver Kit ON SALE!!! 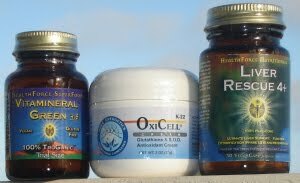 The Pet Liver Support Kit contains 3 formulas: Liver Rescue, Oxicell and Vitamineral GreenThis is a basic kit that is helpful for any pets that have liver disease, liver shunts, microvascular dysplasia, gallbladder problems or any senior pet. The products provide gentle liver and gallbladder support helping the pet rid the body of toxins which can make their liver function sluggish. This kit is highly recommended for senior pets that are slowing down, showing signs of aging or have even the slightest sign of elevated liver enzymes. Also, the Liver Support Kit is very helpful for pets taking nonsteroidal anti-inflammatory medications for arthritis pain such as Rimadyl or Deramaxx as these can affect your pet's liver over time.